New York Brass Band are North Yorkshire’s only contemporary New Orleans inspired brass band. Hailing from the ancient streets of York the band has been rocking weddings, burning up festivals and smashing sports events since 2011. In 2015 NYBB played over 200 gigs. 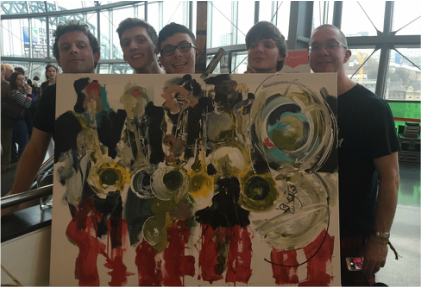 The band is a powerful team of some of Yorkshire’s finest musicians packing an arsenal of percussion, sax, trumpets, trombones and sousaphone with a varied repertoire of over 60 tunes at their fingertips without a note of music in sight. This is a band that works without gimmicks, auto tune or backing tracks, we blur the line between band and audience by inviting the crowd to become part of the show and ending the performance in the audience, dancing on the tables or congaing under the stars. Our repertoire is a broad range of styles from jazz to pop, reggae to funk and New Orleans to ska. 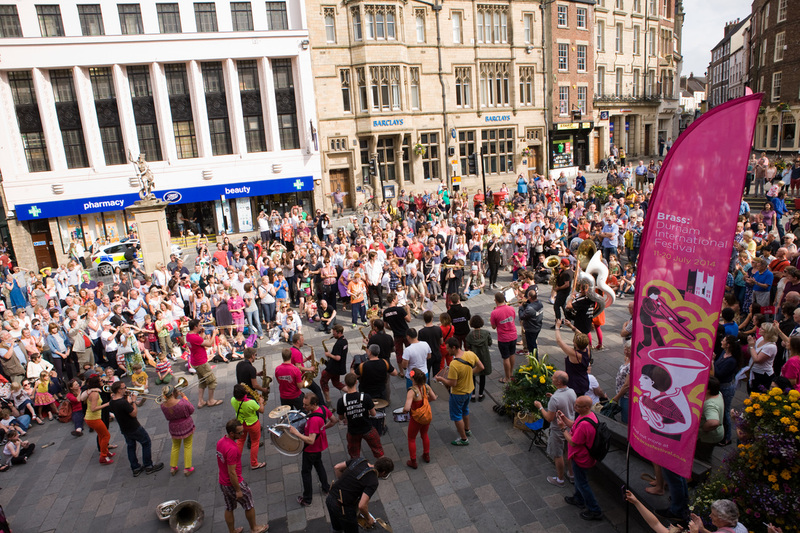 Acoustic or amplified, sunshine or rain, indoors or out…….NYBB will get the party started. 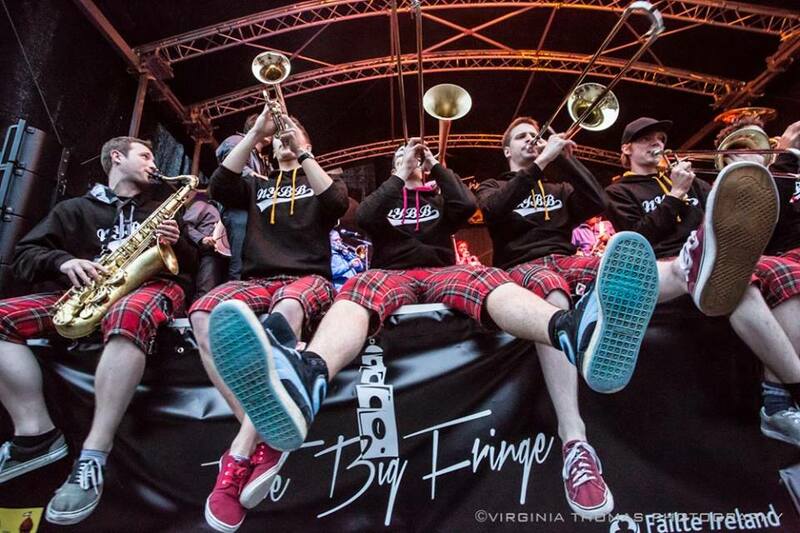 The band has played all over the UK and Europe including Glastonbury Festival, Paradiso Amsterdam, Batumi in Georgia, Wembley Stadium, Lords Cricket Ground, Soundwave Festival in Croatia, Le Tour de France in Yorkshire, Waterford Sproaoi, Cork Jazz Festival, and Bestival. They have entertained celebrities Danny Jones, Jamie Oliver, Liam Gallagher, Ellie Goulding, Susan Boyle and Craig Charles. Corporate clients include Manchester City FC, Yorkshire Tea, Centre Parcs, Wigan Warriors RLFC, Brewdog, Harvey Nichols, DHL, Chatsworth House, Asda and the NFL. 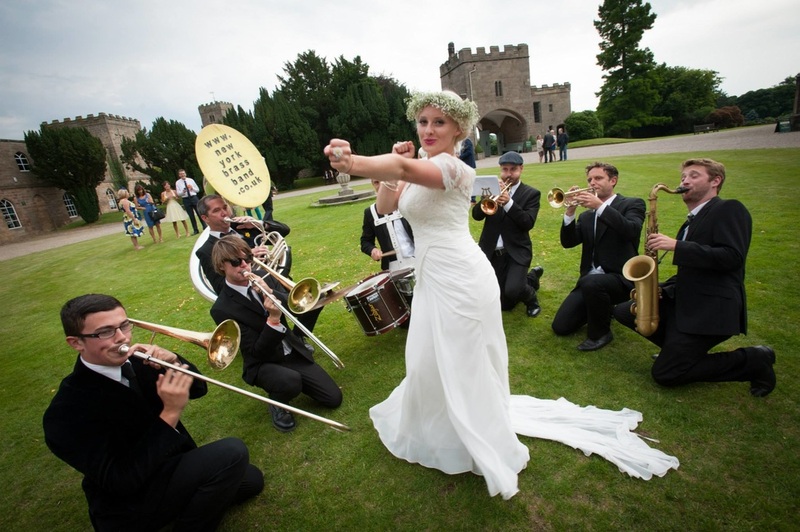 In 2015 NYBB played at 70 weddings, both afternoon drinks receptions and evening parties. Booking us for your festival style or boho wedding brings a real taste of Glastonbury to your big day. Whatever your vision for your big day NYBB will guarantee to leave your guests reflecting on a great party. The secret of the band’s success is its flexibility and versatility. Playing acoustic the band can parade into a venue or pop up without warning at a drinks reception or corporate event, instantly becoming part of the party as musicians and audience interact. With amplification the band packs a powerful punch and has rocked main stages at Glastonbury, YO1 Festival, Soundwave Croatia and many many wedding parties. The band has invested in a full set of wireless radio mics so can jump into the crowd without losing power.